DIY Tips If Your Gas Fireplace Won’t Stay Lit or Doesn’t Light at All. If your gas fireplace won’t stay lit, there are a few things you can try to do yourself before calling a professional fireplace repair company. PRO TIP: Any attempts to service your own gas fireplace you do at your own risk – and the risk of your family, pets, and property. Sometimes it’s better to just hire a professional. In my opinion, this is one of those things! Gas fireplaces, furnaces and other combustion appliances are safe when professionally installed and maintained. Done improperly the risk of gas leaks, explosions, fire, and carbon monoxide poisoning are very real. If you live in the Phoenix, AZ Metro area or anywhere within a 35-mile radius of Magic Touch Mechanical’s main offices in Mesa, Arizona – just call us for gas fireplace service! We’ve been repairing, maintaining, and upgrading gas fireplaces for over two decades. 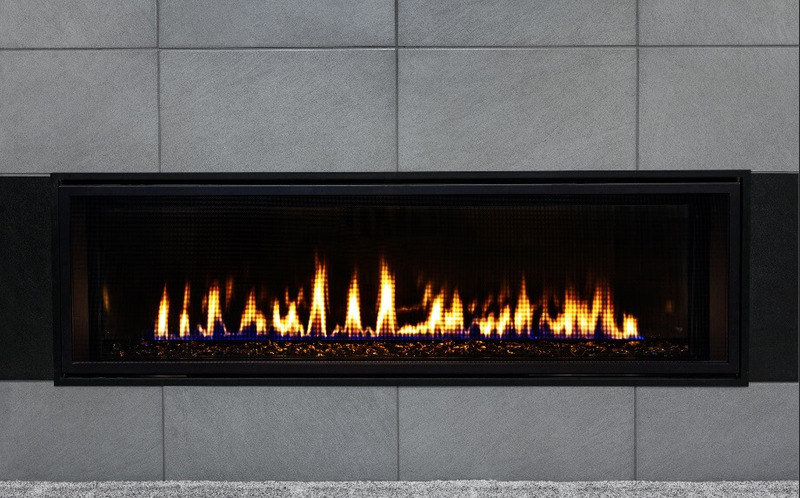 If you’re reading this article, it’s safe to assume your gas fireplace won’t stay lit or won’t light at all. The first thing you have to understand is, the problem is most likely related to the ignition assembly. Depending on the fireplace model, the ignition assembly usually consists of the pilot light assembly, pilot tubing, thermocouple & thermopile. Is Your Pilot Light Lit? So, have you checked to see if your pilot light is lit? If not, relight the pilot by following the instructions on your hearth or in your user manual. Again, I hate to say it but… is your gas even turned on? We see a few a year where the gas isn’t on or the propane tank is empty! PRO TIP: If you do not know how to light a pilot light, you probably really need to call a pro rather than reading on. I’m not trying to be mean – I’m trying to advise you to stay safe! If you lit your pilot light and everything appears to be functioning normally now, you are good to go! However, consider calling a pro to perform maintenance and cleaning of your fireplace. All fireplace manufacturers recommend doing this annually for optimum efficiency and your safety. If the pilot light on your gas fireplace won’t stay lit, the most likely culprit is a component called a thermocouple. The thermocouple is a safety device. Its purpose is to not allow the gas valve to open if the pilot light isn’t lit. Without this device, your gas valve could allow gas to leak into your home…enough said right? The thermocouple is a metal rod that sticks out right in front of the pilot itself. It senses if flame is present or not. If the pilot light is lit, it heats up the thermocouple. This opens the gas valve and allows gas to enter the burner ports…and voila, fire! You’re still reading so I guess there was no “voila” for you. It’s not unusual for the thermocouple to collect carbon deposit buildup after a season of use. After all, your thermocouple is sitting in direct flame its whole life. If after inspection you determine there is a carbon buildup on it, try cleaning it off. The best way to do this is with a strip of fine grit sandpaper. Lightly rub it back and forth until it appears to shine again. Often, you’ll find that’s enough to fix a fireplace that won’t stay lit. If that doesn’t work, the technician in me wants to recommend you call a pro. While it’s neither expensive or difficult to replace a thermocouple, it’s not an expensive repair from a fireplace contractor either. Difference being, the contractor can test all the other components and even clean it for you while he’s there. What’s the Difference Between a Thermocouple and Thermopile? Overall, a thermocouple and thermopile are the same thing. Both use the energy derived from heat to convert it to electricity. A thermopile is really just a series of thermopiles bundled together. As a result, a thermopile generates more electrical current than a thermocouple. A thermopile can be used to power a thermostat in some appliances. However, a thermocouple does not provide enough electricity to do so. Incorrect Gas Pressure– Fireplace technicians use a tool called a manometer to measure the gas flow through the gas valve. When the gas pressure is not set properly, the fireplace will not stay lit. If it’s just out of adjustment, the technician can get it back in calibration. If you own a manometer and know how to use it, you can do this easily yourself. I assume people reading this article do not – which is why I lead with having a fireplace technician do it. Faulty Gas Valve– After ignition system components, a faulty gas valve is the next most common component failure we see in gas fireplaces. While gas valves typically last the life of a fireplace, they are a functional component and subject to fail. There’s way too much at risk to suggest a layperson mess with a gas valve replacement – so I won’t! It’s time to call a fireplace service company if your gas valve is broken – period! Clogged / Dirty Burner Ports– Usually, clogged burner ports will cause your gas fireplace to have uneven flame distribution. More often than not the hearth will perform poorly, not fail to stay lit. However, in my thirty years as a fireplace technician, I have seen it happen. You can clean your burner ports yourself with care and attention to detail. Do not use chemicals or water! I recommend using a soft bristle brush, rags and a toothbrush to get the job done. PRO TIP: Never use anything to poke or drill out burner ports! PRO TIP: It’s very important to replace the gas logs in the same location you removed them. Gas log sets are strategically designed and placed for proper flame distribution, heating, and operation. Faulty Flux Capacitor – The flux capacitorplays a critical role in… Okay that’s just to see if you’re still reading, there’s no such thing as a flux capacitor! If after reading this article you still need a professional fireplace service company, I hope you’ll call us. 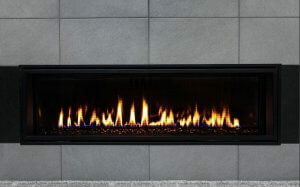 Magic Touch Mechanical provides maintenance, repairs, and upgrades to gas fireplaces and fire pits. We service the entire Phoenix-Metro area and surrounding cities. If you live outside of Magic Touch’s service area, there’s a few good places to find a good company. Angie’s List is now free to search, although their paid membership unlocks reviews and special offers from service companies. Better Business Bureau.The BBB is a good place to see what other people have to say about their experience with fireplace service companies. The almighty Google knows everything about everyone it seems. Start by searching fireplace service company near me. If you found this article useful, please do me a favor and share it on social media. Even better, leave us a Google Review so other people find it too!